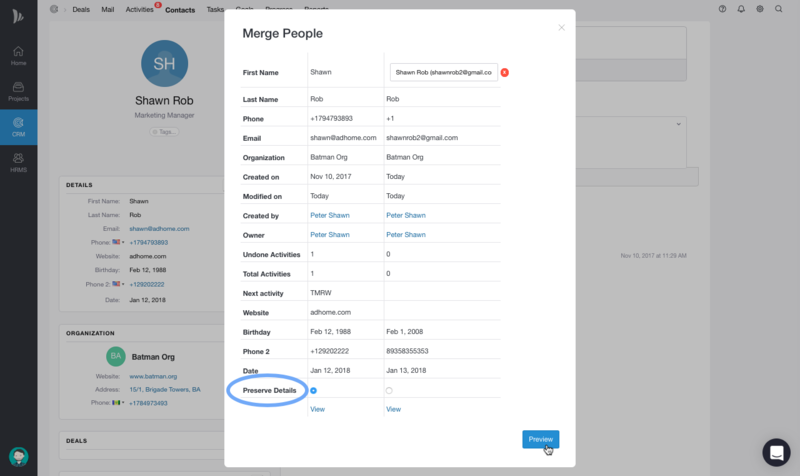 Merge option can be used to merge duplicate contacts, organisations and deals with the original ones. Missing fields in the preserved contact will be filled from the corresponding field of the duplicate contact. 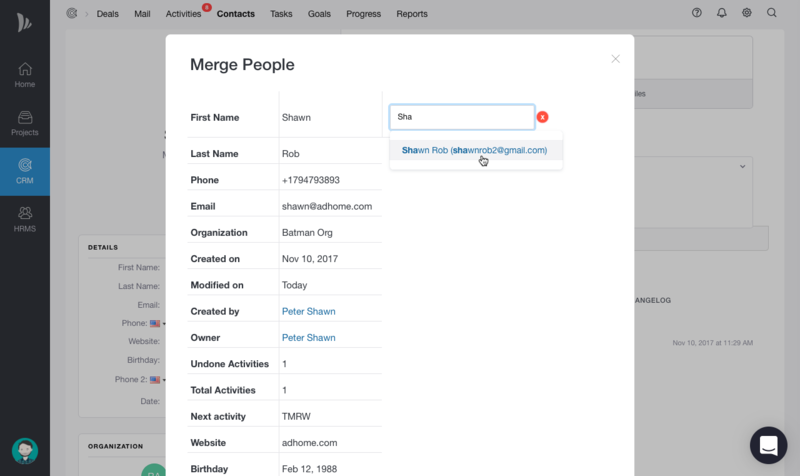 If you choose to preserve the details of the contact person owned by someone else from your team, then the merged contact will be owned by that team member. 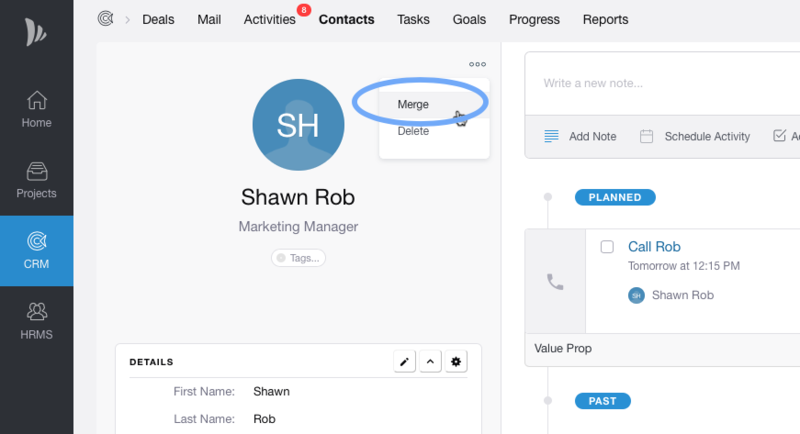 Navigate to Organisation details page and follow the same steps of Merging contacts to merge organisations.